I was having trouble with papers all over my desk. And I had a big blank wall right next to my desk. Can you see where this is going? 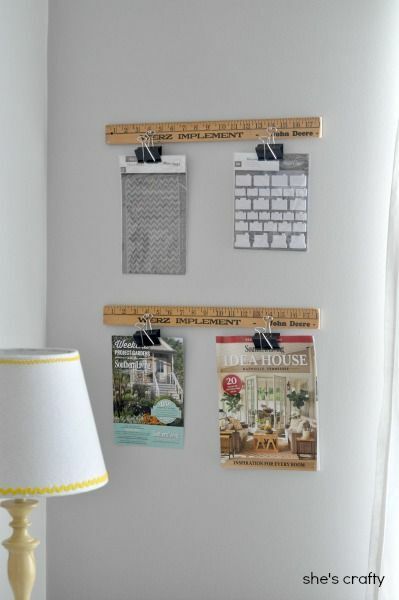 Yes, a wall organizer was in order. 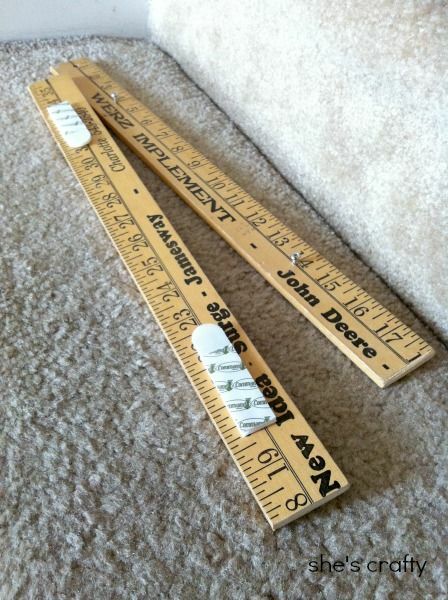 I pulled out a vintage yard stick I picked up from Goodwill ages ago. I've had it for a long time and didn't know what to do with it. So I decided to use it on my wall. First I cut it in half with my handy dandy miter box. Then I drilled some small screws into each piece. 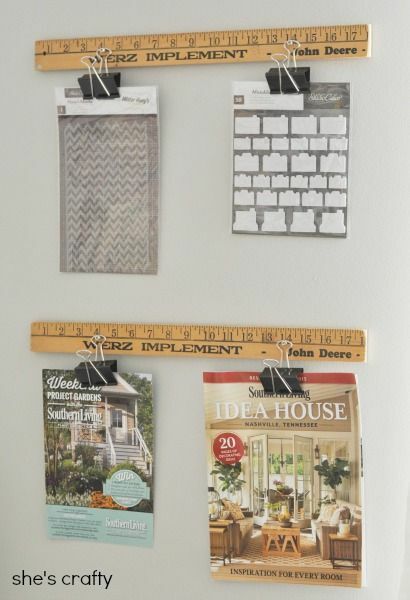 To hang the yard sticks on the wall, I used 3m velcro strips (amazon link). I then hung a binder flip from each screw. 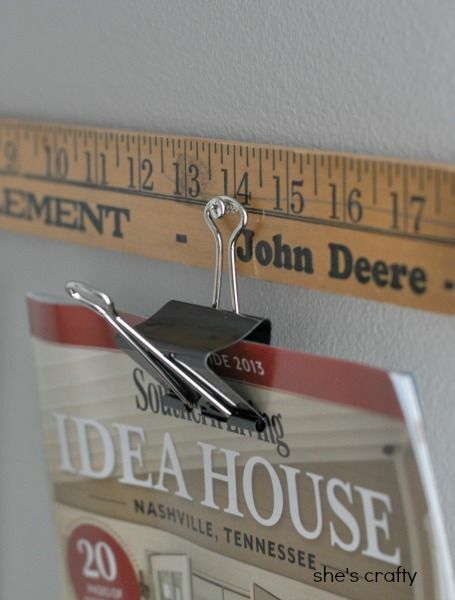 It's so handy to have a place to hang papers, magazines and craft supplies. 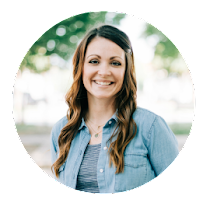 I would love for you to share this post (and any others! )at my Life of the Party link up if you get a chance. Its just opened! Im going to poke around your site a little more. Such a cute idea! 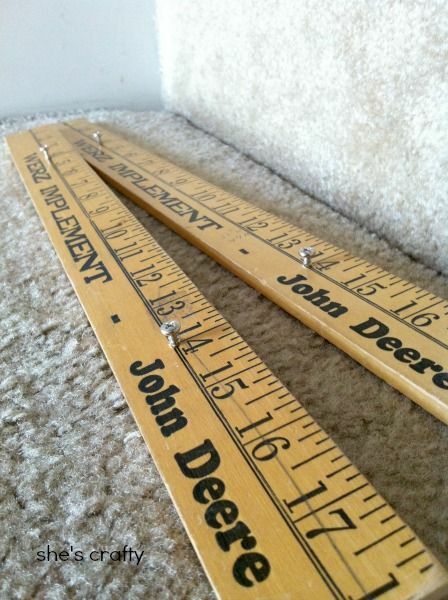 Love how you added the yardstick! Cute idea! It's so unique. This is a great idea!. 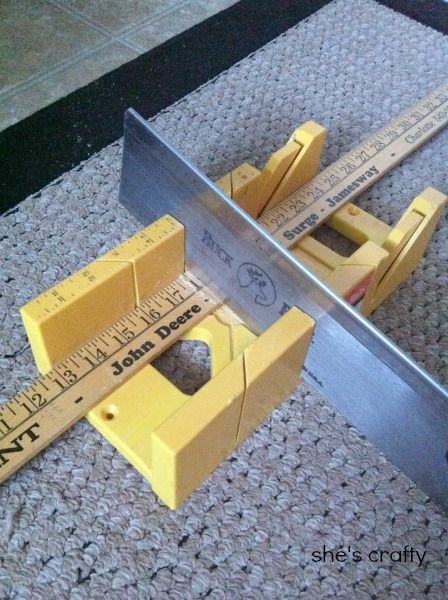 You could get 12 inch rulers so you wouldn't have to cut them too. Thanks for sharing!